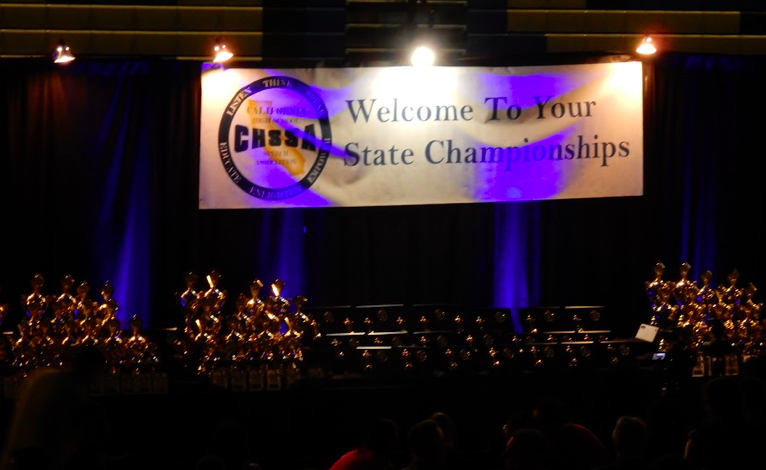 On April 20, the 2018 CHSSA State Tournament was held at Mountain House High School in Tracy. Hundreds of the best competitors in California competed for a spot at Nationals in their individual events. On Friday, the first rounds for Pattern A and B commenced. Searching for their rooms, competitors were frantically navigating their way on campus. Many students began their rituals of preparing for their rounds. Some found solace with the use of earphones, claiming their nerves, while others practiced against a wall. A few students before their rounds. After Friday, competitors went back to their hotel rooms for a nights rest before the long day ahead. On Saturday night, breaks for Semi-Finals were posted for all categories. Arcadia High School took 14 students and only three qualified for Semis in categories of Thematic Interpretations, Original Prose and Poetry, and Impromptu. Archbishop Mitty High School took first in sweepstakes and James Logan High School in second. During the hours between different patterns, MHHS offered activities for students to enjoy. Board games were on every table, a photo booth was in the cafetiera, and to relieve stress, MHHS provided relief dogs for students to pet. One of the therapy dogs. Although not all took away a trophy, every single competitor took away something much more valuable. “As long as tried our best, it’s fine. The memories will last a lifetime, not the trophies,” senior Sydney Tran said. Makenna Brown, a competitor in Dramatic Interpretation, stated that her piece is about gun violence. “It gives me a voice for change in Congress,” Brown said. “Public Forum gives me an outlet and a voice to talk about important issues we would not be normally discussing,” Austin Gaines a senior competing in Public Forum said. USC: A college for you?